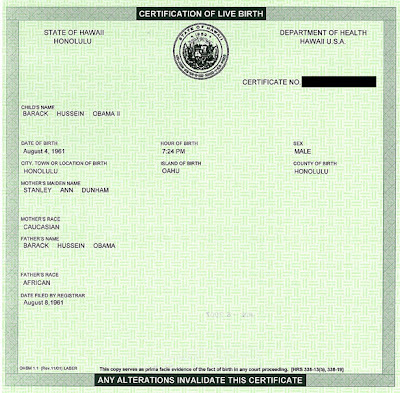 To combat the rumors that Obama was really born in Kenya, or his birth name wasn't really Barack Hussein, Obama's Presidential Campaign has released his birth certificate. The certificate has also appeared on The Daily Kos. why is the number redacted? I did not do the redacting. That is how it appeared on the website.